Take the hung curd in a bowl. Add the cheese, garlic paste, green chili, coriander leaves and roasted chana dal pwd, mix well. Coat the paneer with the marination and keep in separate plate. Heat the griddle and drizzle some oil. 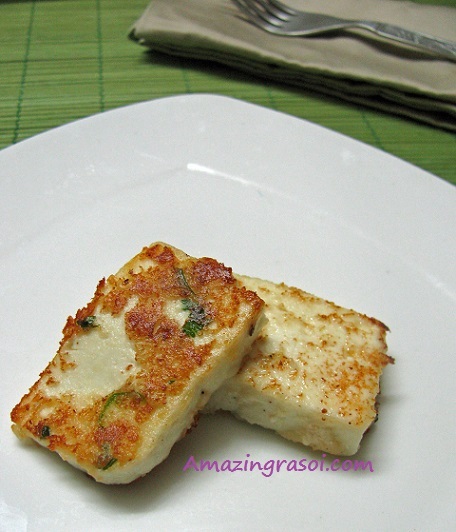 Place the paneer pieces and cook on both the side. 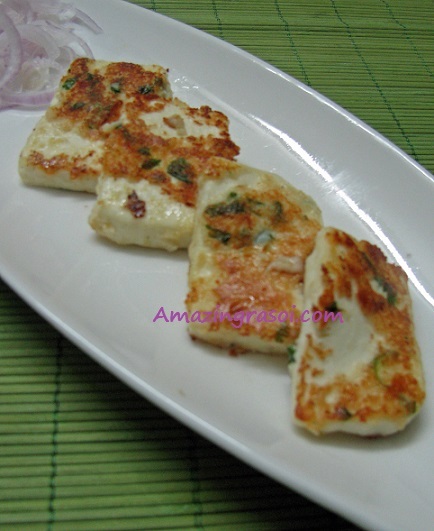 Make sure that paneer is soft, else it wont taste good.